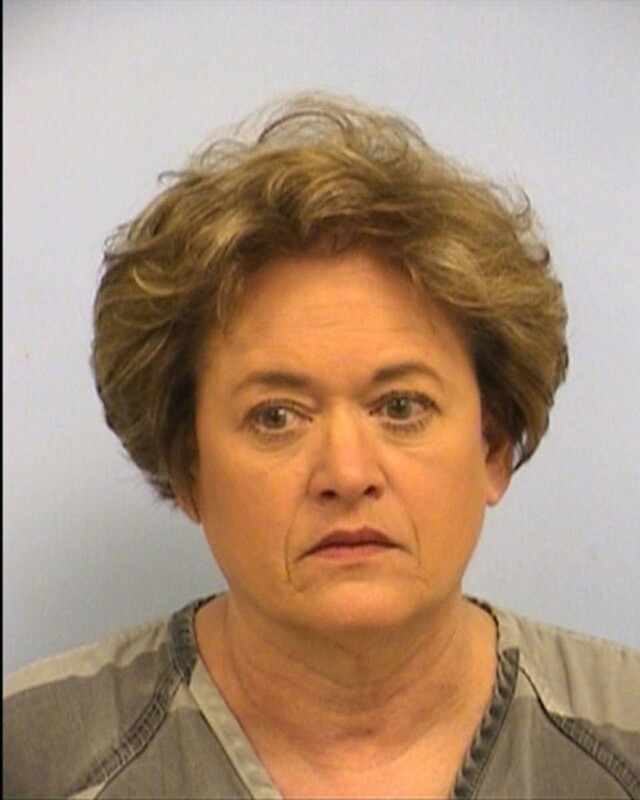 Rosemary Lehmberg, Travis County’s infamous hard drinking District Attorney has been sued by Steve Brand, a former top prosecutor from the DA’s office since 2006. DA Lehmberg alleging fired Brand after he triggered a Texas Rangers review of her actions when he reported that she tried to pressure him into protecting an Austin police homicide detective under two internal affairs investigations. 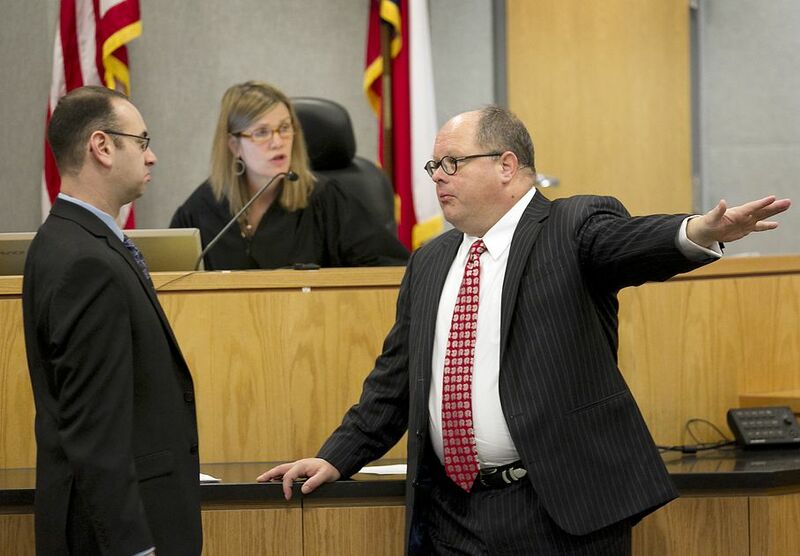 Former prosecutor Steve Brand, left, and defense lawyer Jon Evans, right, confer at the bench with Judge Julie Kocurek in the capital murder trial of Darius Lovings. from his cooperation in the police investigations against detective Anthony Nelson, who Brand said was untruthful on the stand during a murder trial in January. Lehmberg has declined comment on the allegations. The Lawsuit Brand filed is a whistleblower complaint, claiming Lehmberg asked Brand to downplay false testimony Nelson gave in the trial of Darius Lovings, a man convicted of killing a motorist who authorities said tried to help Lovings when Loving pretended to have car trouble. Nelson told prosecutors that he had lost control of the crime scene that night and asked that they keep it “just between us,” according to the complaint. Brand reported the statement to Lovings’ lawyer, Jon Evans, considering it evidence favorable to the defense and therefore that he was legally bound to divulge. On the witness stand in trial, Nelson admitted he lost control of the scene but denied “having asked Brand to keep the admission ‘between us,’” according to the documents. This is a glaring example of the culture of lying, dishonesty and cover-ups that unfortunately has overtaken the District Attorneys office in Travis County under the direction of DA Lehmberg. This was not just a simple mistake. False testimony by an officer never is. It certainly is not “no big deal.” Reports state that DA Lehmberg has said Brand’s termination was because he doesn’t share her values. With this lawsuit, I predict that we will uncoverjust what are Rosemary Lehmberg’s values, and it will not be pretty. where do I remember her from? Isn’t she the Travis County District Attorney that was recently arrested for a DWI? If you’ve been accused of Driving While Intoxicated or public intoxication, it is crucial that you act quickly.